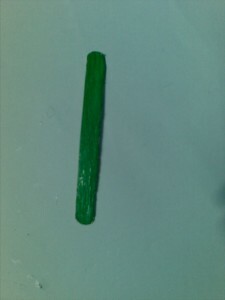 Paint the popsicle stick green as shown. 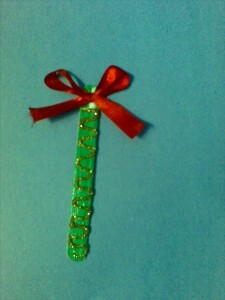 Make a design on the stick with glitter glue. You can make any design you like. 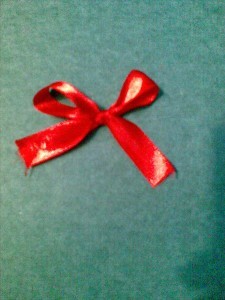 Make a small bow with red ribbon. Use craft glue to glue the ribbon to the top of the popsicle stick. 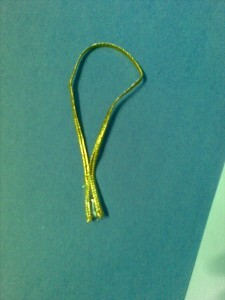 Take a piece of gold twine and tape the ends together. 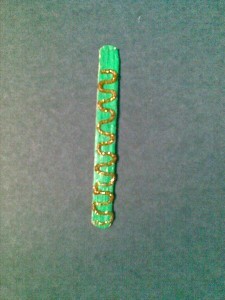 Tape the gold loop to the back of the popsicle stick. Hang your Christmas ornament on your tree. Isn’t this Christmas ornament beautiful? I told you it would be. 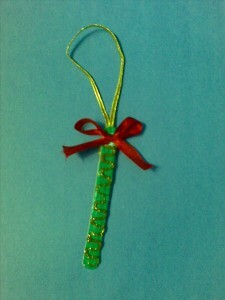 Imagine how proud your little one will be to see that something they made is hanging on the tree. Let me know how your ornament turned out in the comments below. And, don’t forget to take a picture of it…. you can share that too in the comments.